An extensive book of outdoor activities suitable for a wide range of children and environmentsLearning with Nature is full of fun activities and games to get children outdoors, to explore, have fun, make things, and learn about nature and help them grow up happy and healthy. Suitable for groups of children between ages 3 and 16, the graded activities help children develop key practical and social skills, awareness of their place in the world, and respect for the natural world, all while enjoying the great outdoors. 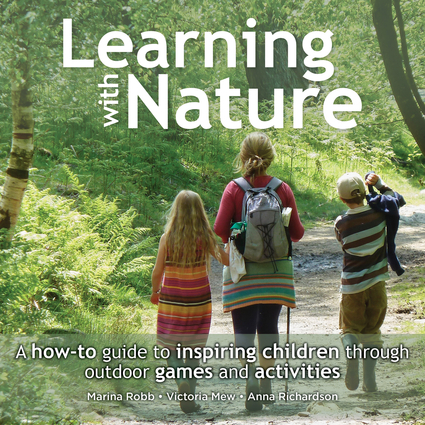 Written by experienced forest school practitioners, using tried-and-tested games and activities, it provides comprehensive information for enriching children's learning through nature. The games and activities are clearly categorized, with step-by-step instructions, an age guide, a list of resources needed, and invisible learning points. This book is a unique must-have resource for families, schools, youth groups, and anyone working with children. Marina Robb is the founder and managing director of Circle of Life Rediscovery CIC, a leading outdoor organization. She draws upon many years of working with young people of all ages and backgrounds to create unique and fun learning experiences. Victoria Mew founded Cultivating Curiosity, an organization that works outdoors with people of all ages facilitating deep nature connection. She is also a qualified forest school practitioner. Anna Richardson is teacher of foraging workshops and creates local community projects that enable people to share and learn together to reconnect with nature.